With this Full HD home cinema projector you can create the big screen experience with images reaching up to 300 inches (762cm). It can handle the most atmospheric scenes with clearly defined shadow detail and deep blacks, while also remaining clear, sharp and smooth during high-action scenes with Detail Enhancement and frame interpolation. The compact and lightweight EH-TW5650 is easy to move, plus the vertical lens shift, 1.6x zoom and keystone correction ensure it’s fuss free to position the picture. It features two HDMI inputs (including one MHL) for connecting DVD players, games consoles and more. Use smart devices to operate the projector; the iProjection app can control the projector and Miracast lets you share content over a wireless connection with Android devices. 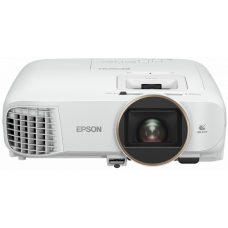 Epson’s 3LCD technology radiates exceptionally bright yet colourful images by producing an equally high White and Colour Light Output. 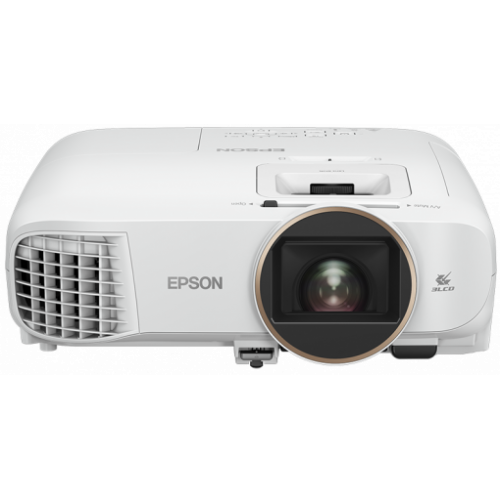 Even in bright living rooms, this Full HD 1080p projector delivers 2,500 lumens and a 60,000:1 contrast ratio.